So the first term of the Management MSc (MiM) has come to an end and it’s time to look back on how I made my way to Cranfield. Honestly, I had no clue where Cranfield was and I had never heard about it even two years ago. I have a Bachelor’s degree in Accounting and Finance from University of Calcutta, India and I came to know about Cranfield during my time at Tata Consultancy Services. I was working for their EDF Energy project. During this time, I learnt from Management that most of the employers highly regard Cranfield as it is one of the oldest and most prestigious universities in the UK. So why isn’t Cranfield all over the rankings if it is so good? The simple answer to it which erases all doubts is the fact that Cranfield is the UK’s one and only wholly postgraduate university which is why they do not compete with the other universities on a level playing field. However, when rankings are concerned, Cranfield is right up there among the top 10 Executive MBAs in the world according to the Financial Times, their Master’s in Management program is ranked 1st in UK and 7th in the world by the Economist. Cranfield Aerospace is also the hub of Airbus employees which is well known throughout the industry. Once you’re here, you understand! Doing a master’s course was always my aim after my undergraduate degree. But doing it in another country while learning about their culture and having an international experience was something I had always dreamed about. When I got the acceptance from Cranfield, it truly felt like a dream come true. I had no hesitation after I learnt about its reputation and I accepted the offer within a couple of hours without much deliberation. In recent times, I feel like employers are focused on taking on young emerging talent rather than successful MBA graduates because they can mold the younger people better in their own way to get the most out of them in their organisations. This is one of the main reasons why I personally chose to do a MiM degree rather than a MBA later on in life. The MiM programme also opens up a lot more career opportunities for me and allows me to apply to multiple sectors rather than only the ones based on my bachelor’s degree. Life at Cranfield just flies by. It’s December now and it feels like only yesterday I arrived at my residence in Mitchell Hall. An average day entails waking up at 8 in the morning, rushing to class at 8:30, having lectures until evening with a one hour lunch break in between. Since the campus is located in a secluded place without too many distractions, it is very easy to concentrate on your studies. It’s a choice you make when you step into Cranfield. The best part about the Cranfield MiM programme is the way the course has been structured. Every module has a practical side to it. Learning is not limited to books and whatever we learn at Cranfield, we do a simulation in an office-like environment in order to understand what we have been taught. This makes things so much easier to understand when we put our theories to practice. The most challenging part is working in groups where you have to be really patient while dealing with people from different cultures. It’s a learning curve that everyone has to go through. My course has 16 nationalities among 46 students. We have people who just graduated from their undergraduate studies, people with years of experience and people who are also parents. This mixture of young and experienced minds with different backgrounds is what makes our discussions endless. The lecturers are very approachable. That’s what I realised within a week of being at Cranfield. I have always been given an answer to my queries, and even the ones that had nothing to do with my studies were taken so seriously by each and every professor that I spoke to. My accommodation is just opposite to the School of Management so even if I wake up at 8:20 in the morning when I miss my earlier alarm, I know I can make it to the classroom within 10 minutes! Social life depends on your choice of having fun. For me, it’s going to the sports hall to try out different sports. Some people go to the Cranfield Student’s Association (CSA) to have some food and drinks. There are various clubs and societies which you can be a part of such as board games, salsa dance, boxing, entrepreneurship etc. Academically, I have learnt more at Cranfield in just four months than I had expected to. The modules that I completed involved a vast majority of topics related to operations management, marketing and managing people. 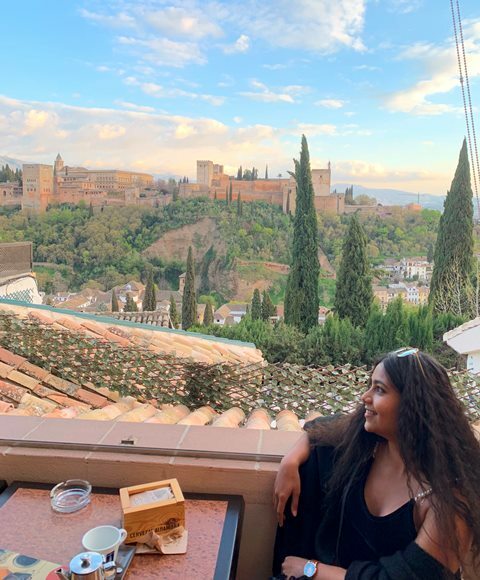 There are still five more modules to go for the next two terms, which also involve a trip to Granada for a cross-cultural experience of learning about management in Spain. Compared to my bachelor’s degree back in India, learning at Cranfield is fast-paced and practical. My work experience however, has helped me in managing my time well since I had to follow a strict schedule back in India as well. If you are thinking of studying for a postgraduate degree and you are sincere about your studies, then Cranfield should be one of your serious options. 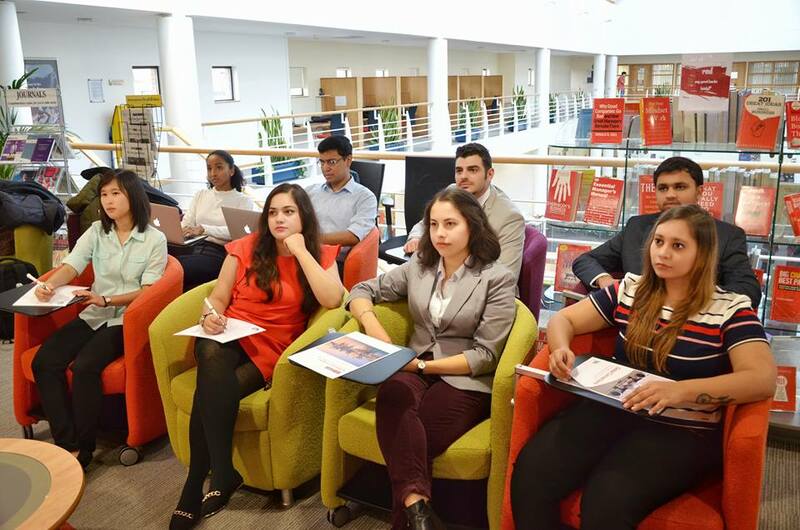 Not just because of the rankings or the reputation among employers, but also the atmosphere at Cranfield which makes learning fun and ensures you are adept at what you have learnt after every module. Along with that, if you are considering MiM as your postgraduate degree then it also offers a three-month paid internship where you work on a real project with a company in order to test yourself.